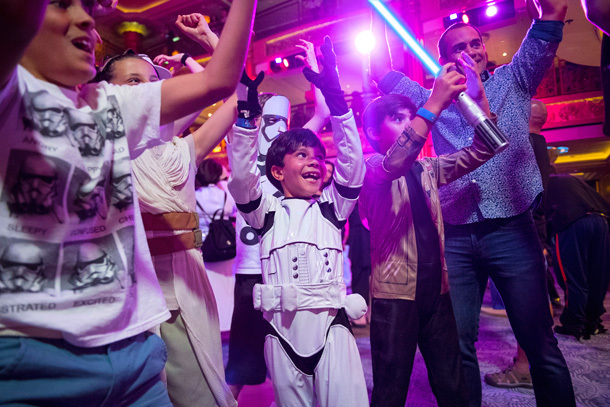 There’s no better way to celebrate your family’s love for Star Wars than with one epic day of galactic experiences aboard a weeklong Disney cruise to the Caribbean. 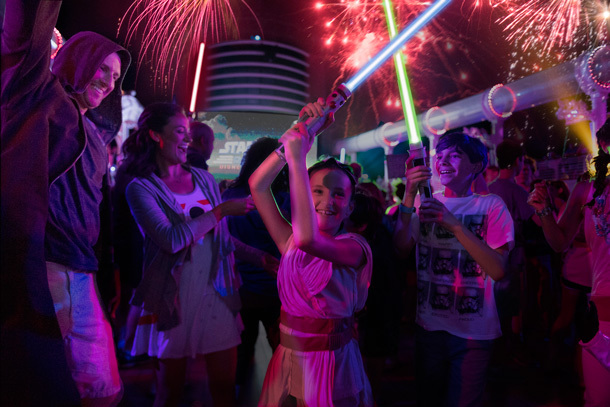 Starting this January, Star Wars Day at Sea returns to the Disney Fantasy on 15 special sailings through April. 1. Be ready to meet your favorite Star Wars characters. Star Wars Day at Sea features an assembly of more than a dozen light and dark side characters. New in 2018, before you even step on the ship you can pre-schedule galactic encounters with C-3PO and R2-D2, Chewbacca and Darth Vader. Plus, you never know who you may bump into roaming around the ship, so always have your camera ready! 2. Let us entertain your kids while you get your own Star Wars fix. In the new Star Wars: Command Post in Disney’s Oceaneer Club, we have Star Wars themed activities to keep your kids entertained for hours. So take some time for yourself and show off your knowledge at Star Wars Trivia, or brush up on the basics at Star Wars 101. Then join a lively presentation from one of the creative talents who has helped bring the Star Wars universe to life. 3. Enjoy the incredible entertainment as a family. One of the day’s signature family events is our costume celebration in the atrium. But of course you’re welcome to wear your best v attire all day long to extend the cosplay fun! 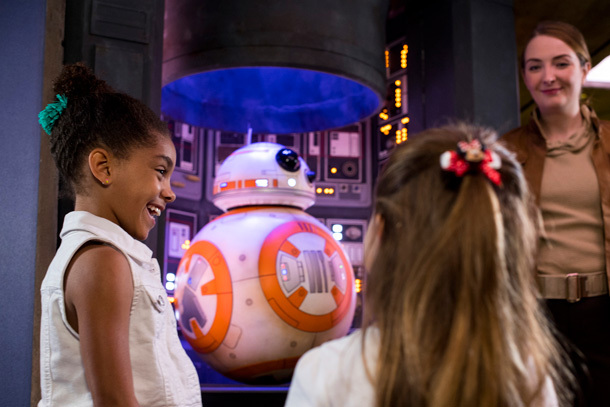 Also as a family you can learn to draw some of your favorite characters at Star Wars Drawing Academy and join the ship-wide Star Wars Scavenger Hunt to find and decode secret messages and solve a mystery. 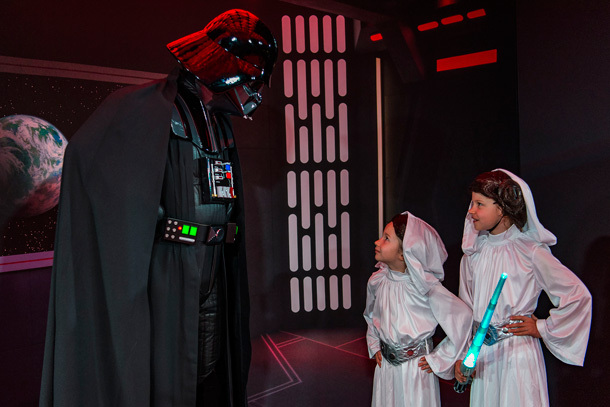 Another must-do family activity is “Jedi Training: Trials of the Temple,” where you can watch your young Padawans summon the courage and Force to face off against the dark side. 4. Cap off the day with an action-packed deck party and amazing fireworks show. There’s no better way to wrap up the day than with fireworks at sea, especially when the incredible display is timed to John William’s classic Star Wars score. But first, you’ll be treated to a spectacular deck show, “Summon The Force,” which celebrates all of the great moments from across the Star Wars universe. It’s a celebration your family will not soon forget! CaribbeanDays can book your Disney Cruise!